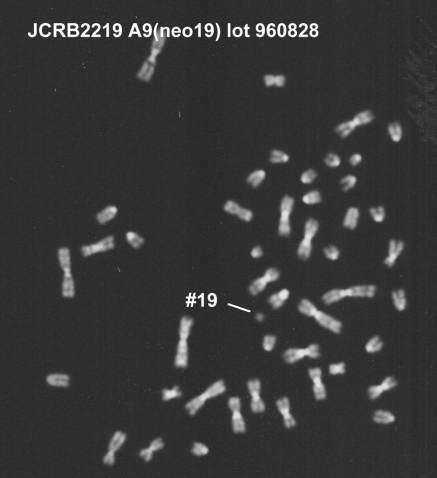 90.0% cells included intact human chromosome #19 at deposit. skin fibroblast, AG-r. 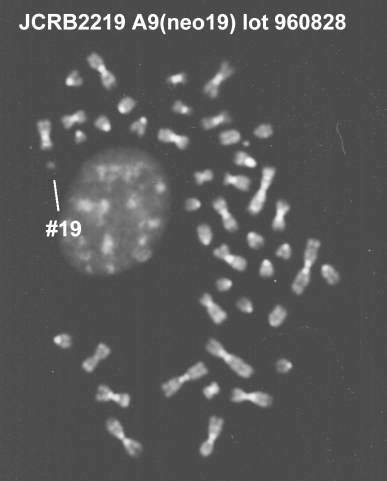 Cells include human chromosome #19. Human chromosome was selected by G418. Tagged site 19p13. 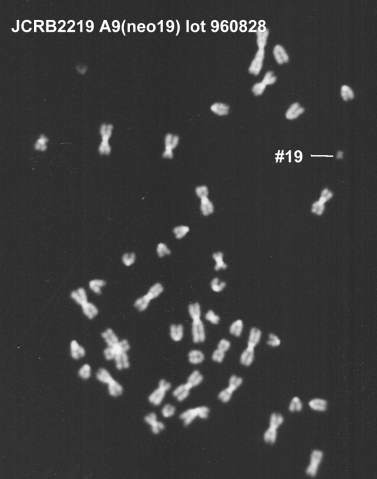 The human chromosome #19 was derived from the cell line MRC-5.